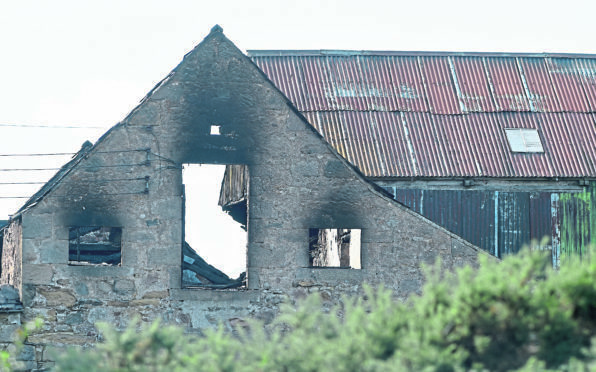 The burnt out remains of St Vincent farm in Tain. 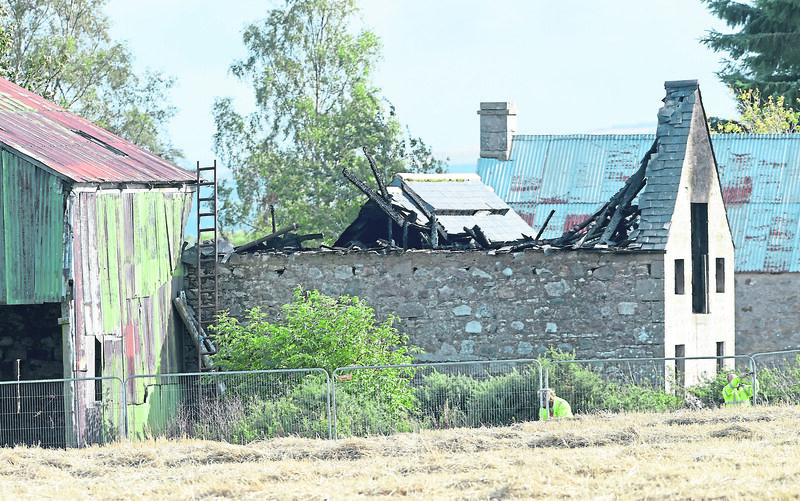 Police are on the hunt after vandals caused extensive damage to farm buildings in Ross-shire. The derelict building, located within the fields at St Vincent Farm between Quarry Road and Viewfield Road, was set ablaze around 4.25pm on Thursday, causing significant damage to the structure. No-one was injured as a result of the fire; however, officers are now treating the blaze as a deliberate act of vandalism. Tain and Easter Ross Councillor Alasdair Rhind said such actions would not be condoned in the community. He said: “I am saddened to hear that. These are substantial buildings and I understand a lot of damage was done. I urge if anyone knows anything about that to come forward and report that to police. We can’t have that kind of nonsense in our community and I am delighted to hear that the police have put out an appeal. In a bid to uncover the culprits, officers have now launched a public appeal for further information. Constable Kelly Murray said: “This was a deliberate and wilful act which potentially could have put lives in danger. “Fire-raising is inherently dangerous as you have very little control over how it may develop. “I would ask anyone who saw anybody in the area or acting suspiciously at or around the time to make contact as soon as possible. Firefighters from neighbouring communities rushed to the scene on Thursday to quickly gain control of the situation. The burnt out remains of St Vincent farm. A total of four appliances were launched – travelling from Tain, Dornoch, Invergordon and Golspie – using two main jets and one hose reel jet to extinguish the blaze. Yesterday morning, firefighters from Dornoch and Invergordon were launched to the scene of a second fire within the community; more than 16 hours after the previous day’s events. The fire service received reports of a lintel smouldering at the old riding stables in Scotsburn road shortly after 9am.